About a month ago, I cautioned readers to avoid swiping the credit card before applying for a mortgage. In short, the more you charge, the higher your outstanding balances. And the higher your balances, the lower your available credit and credit score will be. That’s pretty straightforward stuff, but it may not apply to everyone because some folks may want a higher credit score despite making very few credit purchases. However, there’s yet another way to give your credit scores a boost without simply doing nothing. I’m talking about increasing credit card limits, something that is very easy (and fast) to accomplish thanks to the many credit card management tools now at our fingertips. If you visit just about any credit card issuer’s website, you should be able to find an area to increase your credit limit online. Put simply, you enter the desired amount you’d like (e.g. $10,000 if your current limit is $5,000) or you simply ask for an increase and get what you get and don’t get upset. When it comes to credit card issuer Discover, you simply enter your gross annual income, employer name, and monthly housing/rent payment. Then they present you with your new credit line. It can take as little as a few seconds to get your new line of credit. With other issuers, such as American Express, you are asked to enter your desired credit limit and then hope they extend it to you. Apparently you can get 3x your starting limit with little trouble. So if you started with $5,000, you could get it increased to $15,000 simply by visiting the American Express website and filling out an online form. The underlying goal of such moves is to lower your credit utilization, which is the percentage of credit you’re actively using at any given time. A lower utilization, similar to a lower debt-to-income ratio, is viewed favorably. So imagine you have that American Express credit card with a $5,000 limit. If you currently have a $2,500 balance, even if it’ll be paid off on time and not revolved, you’re essentially using 50% of your available credit. This isn’t a good thing when it comes to credit. You may actually want to keep your utilization below 25%, in this case, no more than $1,250, again, even if you pay it off in full by the due date. But what if you naturally charge a lot on your credit cards each month, despite paying all of them off every month? What can you do to keep utilization low? Well, if your credit limit happened to be $10,000 instead of $5,000, that $2,500 balance would only represent 25% utilization. In other words, all you have to do is ask for higher credit limits, instead of spending less. Of course, spending less will sweeten the deal and ideally push your credit score even higher. Tip: It’s easier to get credit limit increases approved if your balances are low because you’re viewed as a lower risk customer. In conjunction with this tip, you can pay down any balances you may have, assuming you don’t pay your credit cards in full each month. If implemented together, you can get higher limits and reduce balances, which will be a one-two punch in the credit utilization department. So using our same example, if the person with the $2,500 balance lets it float from month to month and only has a $5,000 credit limit, imagine if they got a higher limit and started paying it down. They could push their utilization down from 50% to say 15% if they got the limit increased to $10,000 and paid $1,000 off the balance. These actions should result in a higher credit score, which generally means a better mortgage rate if you apply for a home loan. Additionally, smaller credit card balances mean you’ll have more of your income available to use toward a mortgage payment. 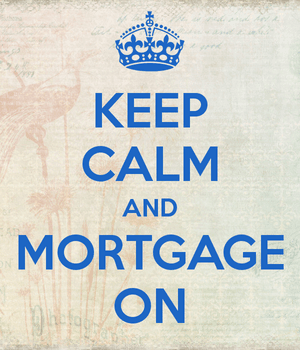 So you may actually be able to qualify for a larger mortgage and/or buy more house. The only caveat here is that a credit limit increase request could result in a hard inquiry on your credit report, which could ding your credit slightly. It’s temporary, but could offset some of the expected gains of a higher limit. So either request the higher limits several months in advance of applying for a mortgage, or ask the credit card issuer if it will result in a hard or soft pull before making the request. If it’s the latter, it won’t harm your credit score. In any case, you’ll want to approach mortgage lenders with the highest credit score possible to ensure you have the best chance of approval and obtain the lowest interest rate.